Continuing the tradition, here are my reflections on this year. Calm because the year has been flying by, luckily without any craziness and unwanted situations. Surprising because I've realised that it doesn't have to be that complicated turning my habits around and how positively it affects my mental health. Changing my eating habits has truly made me happier. It's still an ongoing process, but I can definitely feel a small change. A realism because I graduate in about 6 months and I'm starting to realize that I'm soon starting a new exciting part of my life, with a real grown-up job and real grown-up responsibilities. I still feel so young and can't believe that I'm soon a real adult! • Getting Netflix back in my life! It's a silly thing to have as one of my top highlights, but honestly Netflix can fix any bad day. • Even though as I'm writing this, I have a couple of pimples, but in general, my crazy teenage acne has finally gone away! It's so freeing not having to cover my whole face up every morning, because I'm uncomfortable with my skin. 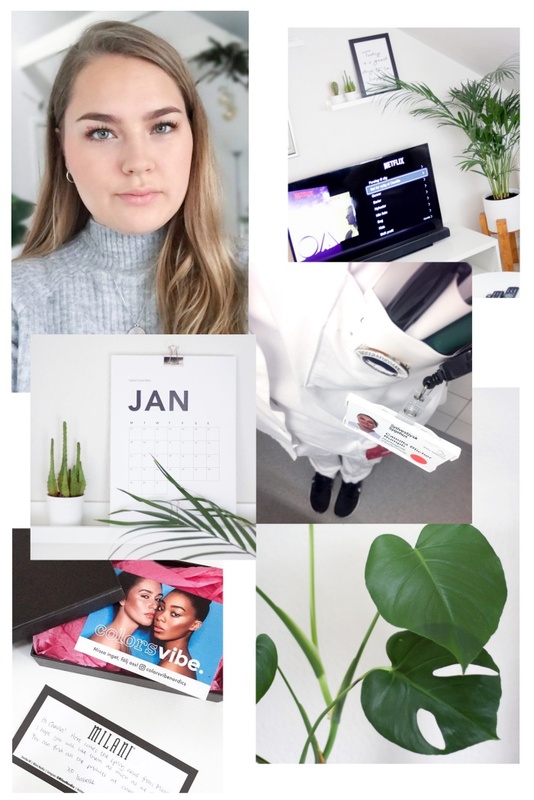 • This year has been really exciting blog wise. I have had several collaboration with different companies e.g. Egyptian Magic, colorsvibe.se, The Ginger People, Amaze PR and others - I'm so blessed to get these opportunities. • Throughout my current internship, I have received so much positive feedback from the people I work with and my clinical counselors - it's amazing to hear that I'm doing great, which makes me feel SO ready for next year when I have to find a job. • My family and friends being alive and well. Getting my first real job as a Radiographer. Getting my first real adult apartment. Loving myself, through and through.